So, I've been a lazy bum all through the holidays and have not been crafting or blogging or pretty much anything but eating and hanging out in the sofa playing Fallout 4 and binge watching Greys Anatomy. But now I'm getting back to regular schedule. 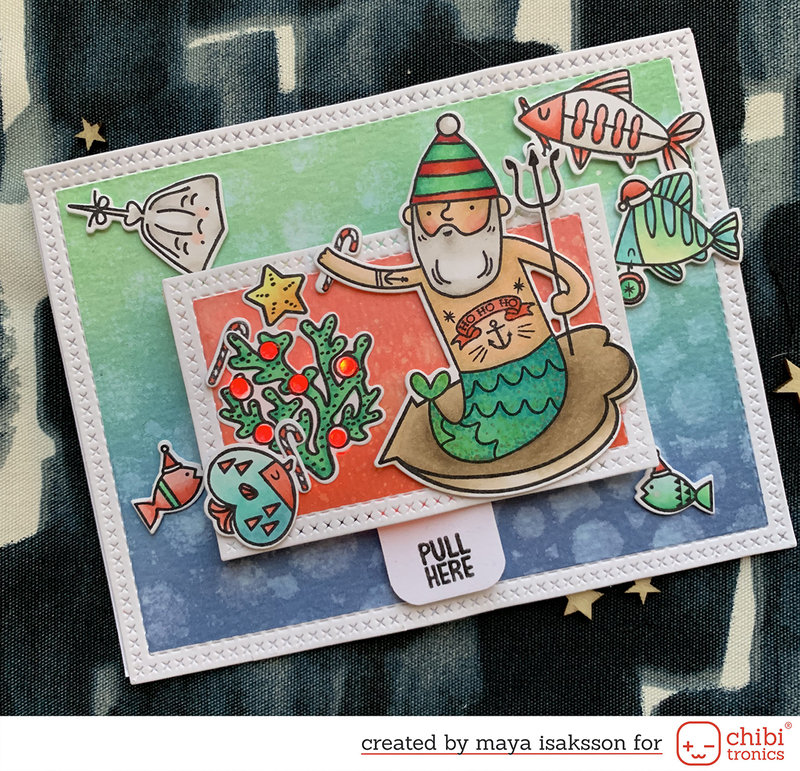 Starting the year with a stamp set that is so cute, by Lawn Fawn called Turn me on. And to make the little cute bulbs shimmer I colored them with Spectrum Noir Sparkle pens in Moonlight Pink garnet and then I added a Spectrum Aqua in the color Charcoal for the bases. I also made my own custom strip of striped paper by coloring it with the Pink Garnet pen and then stamping the stripes on top and cutting it out. I found tiny star sequins in my stash that I added here and there for decoration.